Tickets are now on sale for new-build ‘A1’ No. 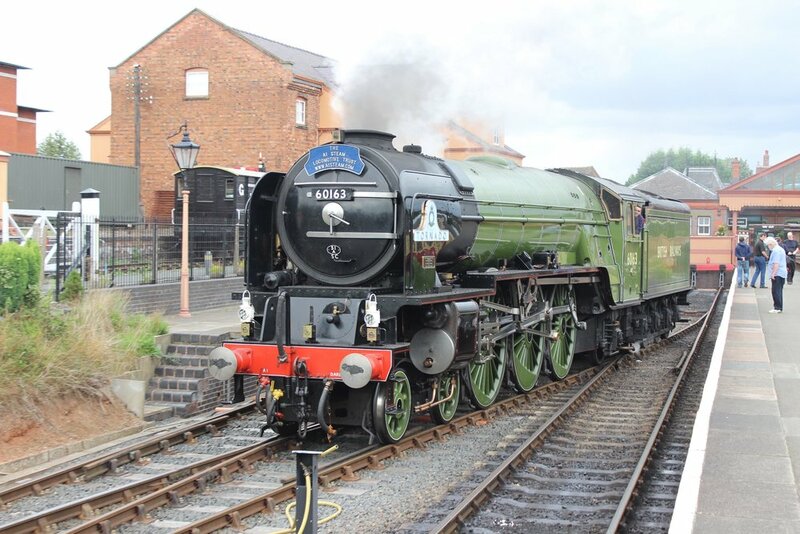 60163 Tornado’s forthcoming visit to the Midland Railway – Butterley in April. The Peppercorn-designed ‘A1’ will be making its first ever appearance at the Hammersmith-Riddings Junction railway during the event, which runs over the weekend of April 21/22. Alan Calladine, the Midland Railway Trust Development Officer says: “This is a great opportunity to see this locomotive close up and ride behind this very special machine. The weekend of the 21st and 22nd April will a splendid weekend to visit the Midland Railway - Butterley”. The MR-B is just one of several railways hosting the ‘A1’ during 2018 as part of the ‘Pacific’s’ tenth anniversary tour. No. 60163 is already booked to visit the Great Central Railway (Nottingham) on February 10/11, the North Yorkshire Moors Railway on March 3-11 (excluding March 9), the East Lancashire Railway on March 29-April 2, the Nene Valley Railway on May 5-7, and the Bluebell Railway on May 25-29.